That’s the promise from the chefs and caterers, winemakers and hosts of the village of McGregor who are gearing up to welcome visitors during their 2017 Food and Wine fest. Head to the valley along roads fringed with daisies in pastel hues. Cross the Breede river and cruise along the road to nowhere – until your reach the marketplace in Church street, where the church spire gazes down on tents and stalls, musicians and cooks, as enticing aromas of fare both local and exotic drift skywards, offering irresistible temptation. Tasting glass in hand, sample the new vintages of no less than seven cellars that line the McGregor wine route, and treat your palate to some fine wines, every one of which is created in the valley. The range extends from a choice of bubbly to organic whites, riveting rosé, award-winning reds, warming soetes and world- class grappas and eaux de vies. Stock up for the festive season at prices to please both palate and purse. 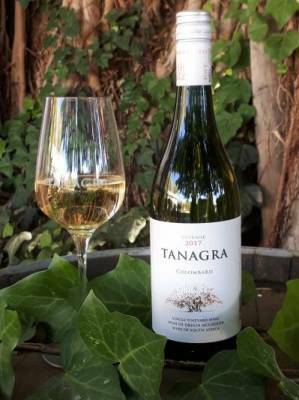 Tanagra (don't miss the cab franc); Donkey Sanctuary (off-dry colombar is popular), McGregorWines (good affordable reds), Bemind (cinsaut is a must), Solara (delicious organic s/blanc), Lords (bubbly and new s'blanc) and Buffalo Creek. Bring the family, as youngsters will be well-catered for – and will be cooking up a storm themselves – under the watchful eye of an experienced teacher. Adults can relish oysters, schwarmas, curry, samoosas and hamburgers, or settle for heritage treats like roosterkoek and boerie rolls, followed by pastries and pancakes. Bring a basket to take home artisanal fare, and browse among local crafts for gorgeous hessian bags of aromatic herbes de Provence. Choose favourites from a brand new range of souvenir keyrings and fridge magnets illustrating McGregor’s landscapes, flora, heritage homes, gardens and more. As always, August teases with a hint or two of spring growth and welcome warmth then reverts to form with snow, gales and freezing temperatures. The wet is of course both welcome and essential, and we should remember that sustaining soups and warming reds are still on the menu for a few weeks. Some fine releases from the brilliant 2015 vintage are trickling from Cape cellars. We have savoured several impressive whites, and now the reds are following, although – as Hartenberg states in their press release – their admirable 2015 Merlot should only reach its full potential in a decade’s time. Hmm – how many consumers will take note and tuck away a case for 2025? As most won’t, its good to report that it’s already more than enjoyable, fruity wine with a little spice adding interest to the dark fruit, and a silkiness lending elegance to the finish. It’s a merlot to pair with pasta and sauces, and it can cope with tomato with ease, or accompany gourmet pizzas and items like savoury cheesecakes. Alcohols levels of 14% are unlikely to put off many merlot fans, while Hartenberg points out that previous merlots have rated gold in both Veritas and Councours Mondial de Bruxelles. It sells at R175. Both are magnificent examples of aging beautifully, continuing to develop grace and style while presenting elegance and highlighting impressive complexity. The latter, Lady May, a 2011 cabernet sauvignon blanc has amassed several prestigious awards, but stands way behind those showered on the owner of Glenelly Estate in Ida’s Valley, Stellenbosch, a farm that is a must on any serious wine-lovers itinerary. 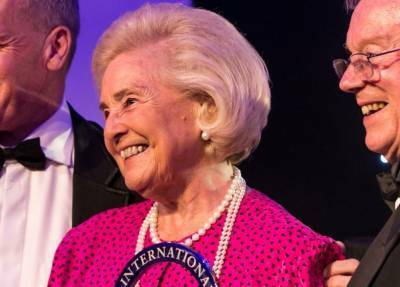 But as this is August, dubbed women’s month, these words are penned more to honour Mme May-Eliane de Lencquesaing, who turned 92 in May, an event shared with another in London when the IWC presented her with their Lifetime Achievement Award . Back in 1994 Lady May became President of the International Wine & Spirit competition, subsequently becoming Vice President for Life. In that year she was also awarded title of Decanter Woman of the Year, and, as the years rolled on, the list of honours and awards grew longer, and today the accolades from France, USA, and South Africa make for inspiring reading. Born into one of Bordeaux’s oldest wine families, this did not necessarily guarantee an easy road to success. Madame May worked tirelessly in pursuit of excellence at Chateau Pichon Lalande over 30 years to achieve her goal. Two years short of her 80th birthday she bought Glenelly estate outside Stellenbosch and planted vines, built a cellar – and installed a Glass Museum to mirror that of the one in her French chateau. She wanted to continue the French heritage of winemaking at the Cape, and today, this striking estate offers fine wines, a charming bistro, a tasting centre and her unique glass collection. It is apposite that this glamorous grandmother has two grandsons – 8th generation vintners and wine producers – to support her and take both her French and South African enterprises forward. Heritage is honoured and tradition is upheld on two continents, in immaculate style. MAKE A SEPTEMBER DATE - WINE & FOOD GALORE! Orchards in blossoms, crystal clear air, and vines shooting with beautiful lime green leaves. That’s the background to the Spring Blossom Festival taking place at De Krans cellar in Calitzdorp as Heritage month unfolds. Diarise September 2 and 3 for a superb start to the new season. Before contemplating tasting De Krans ranges of award-winning wines and ports, jog or walk through hte vineyards on a five or 10km trail. Wander through the peach and apricot orchards, and take some photographs – there’s a prize for the best spring pictures of the winner’s weight in wine and port. 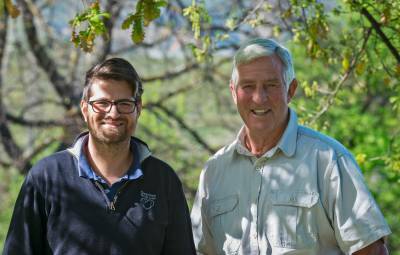 Adopt a vine – it costs R20 which helps fund the Hope Options Centre in Calitzdorp. The local Saturday market will be filled with indigenous plants and trees, while herbs, produce and homemade bread will tempt as well. The De Krans Bistro and Deli will be open all day, offering brunch and lunch. On Sunday there is a high tea with a difference, starting at 11am which is port-based paired with treats. Booking essential. chenin, and sauvignon blanc, alongside pinotage and moscato perlés. And Sunday also offers a range of port cocktails from lunchtime. For more info and bookings email dekrans@mweb.co.za or contact Bessie Swanepoel on 044 213 3314. Follow the rainbow for fanciful farm hopping and pantry shopping in and around Bot River over the first weekend in September. 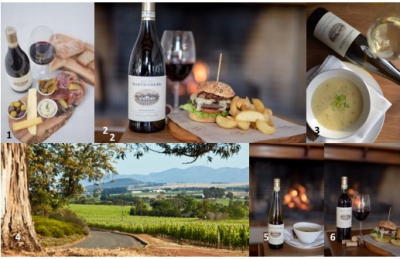 Organisers have selected a host of activities that showcase the region, while the wineries get ready to pour their diverse ranges for visitors. The weekend starts with a Best of Bot wines, a food and wine pairing dinner presented by Forage executive chef Gregory Henderson with Higgo Jacobs and fellow sommelier Ewan Mackenzie on Friday evening. Tickets cost R850. During Saturday and Sunday the cellars – Arcangeli, Barton, Villion, Luddite, Genevieve, Beaumont, Gabrielskloof, Rivendell, Paardenkloof and Maremmana will present their wines, lay on fine fare, ranging from smorgasbord to burgers, lamb on the spit, Cape heritage dishes, dinner dances and more. Children will be well catered for as well. Tickets for the 2017 Bot River Over the Rainbow Spring Weekend cost R100 per person and can be purchased, along with tickets to individual events, at www.quicket.co.za unless specified otherwise. The weekend pass includes an armband and wine glass, which you may collect at the Bot River tourism office. Quicket stations will also be at Beaumont, Gabriëlskloof, and Wildekrans on the weekend. Youngsters under 18 years may enter for free.For accommodation options in the area visit: www.botriverwines.com. The annual Capegate We Love Wine fest 2017 takes place on Friday and Saturday, August 25 – 26 with a programme designed to delight all palates and purses. Not only is there an impressive lineup of Cape wine producers, but the itinerary at the Wine Theatre offers a wealth of free experience for those keen to learn and entertain at home in style. Tastings include Perdeberg’s Barrels and Hops, Orange River Cellar’s Create your own cocktails and Nibbles and Wine by Overhex, while themed tastings include Budget Beaters, Sweet Treats and The Diversity of Pinotage. Cellars taking part are: Badsberg, Bonfire Hill Wines, Bonnievale Wines, DeuxFreres Wines, Devonvale Golf & Wine Estate, Front Row Wines, Fryer’s Cove Winery, HauteEspoir, Imbuku Wines, Kingna Distillery, MWS - Montagu Wine & Spirits, Overhex Wines, Louisvale, Orange River Wines, Perdeberg Wines, Peter Bayley Wines, Roger Clayton Wines, Ruitersvlei, Stellenbosch Hills, The Fledge& Co, Triple Three Gin, Villiersdorp Cellar, Winkelshoek Cellar, Yonder Hill Wines. Tickets are R75 each from www.computicket.com or R90 at the door. The ticket price includes the tastings, a branded glass and free entry into the CWA Theatre. The show hours are 17h00-21h00 on August 25 and 13h00-18h00 on Saturday 26. Visit the Capegate Facebook page for the latest news and updates or www.capegatecentre.co.za. This popular annual event takes place in Cape Town and Johannesburg on August 17 and 23 respectively. As a preamble to the Auction which follows in September, the showcase provides a valuable meeting place with our top winemakers and samples of the treasury of hand crafted wines that will go under the hammer. The Guild members will also present a range of their own flagship wines sold under their own labels. Another important feature is the Silent Auction where visitors can bid on rare signed bottles from previous Guild auctions. This fundraiser helps contribute toward the Development Trust which supports the education and training of young wine industry talent through the Progege Programme, a mentorship scheme for upcoming winemakers and viticulturists. Tickets cost R300 a head and are obtainable through www.webtickets.co.za. The Cape Town Showcase is at the CTICC ballroom on Thursday Aug 17 from 18h00 – 21h00. The Johannesburg event takes place at The Atrium, Nedbank Sandton on Aug 23 at the same times. The CWG Auction takes place on Saturday, September 30 at Spier Conference Centre and is open to the public. Registration closes on September 20 Visit www.capewinemakersguild.com, email info@capewinemakersguild.com or call Tel: +27 (0)21 852 0408 for more info. This takes the form of a Scottish braai with chef George Jardine at the helm. The venue is Kaapzicht estate, the date is Sunday August 27 and the event promises to be a memorable Sunday. Accompanied by the acclaimed wines of the Bottelary Hills producers – Kaapzicht, Mooiplaas, Hazendal, Hartenberg and Bellevue – chef Jardine will demonstrate his culinary flair over an open fire around which tables will be set. Tickets are R550pp and include a wine tasting the meal itself, paired with individual wines; and, a bottle of wine from the Bottelary Hills region to take home. To make a reservation or see a map of Bottelary Hills, visit the Stellenbosch Wine Routes website at www.wineroute.co.za. For more information phone (021) 886 8275. A host of countrywide events in the Cape, Free State and Gauteng offer wonderful wines paired with companionable snacks. The events are chronologically arranged, followed by a few tempting winter wineland dining options . Robertson’s annual Slow Food and Wine festival attracts repeat visitors year on year who savour not only the hospitable Robertson Wine Valley with its warm heart and fine wines, but a festival where wine farms offer personal itineraries that range from fireside tastings and hearty suppers to picnics and platters, underground cellar tours, game drives, horse-riding and slow cruising down the Breede river. The Sunday Family Market on Klipdrift farm on August 6 from 10am is a finale worth staying on for . The setting, the produce, the ambience add up to a delicious slice of country life. Entrance is free, and children are well catered for. Look through the website programme and make your bookings – don’t leave this too late as some events are already fully booked. See www.robertsonslow.com. And call 023 626 3167 for more info. Another perennial favourite to diarise: Wine Concepts will host their 5th Seductive Sauvignons Festival at The Vineyard Hotel in Newlands on Friday August 18 from 17h00. Taste a fine selection of recently released sauvignon blancs along with current cabernet sauvignons from more than 40 of South Africa’s top producers. Bubblies, rosés and dessert wines will be included to add delicious diversity, and moreish snacks will be offered throughout the event. All wines showcased will be available at special prices during the show.Tickets cost R200 from www.webtickets.co.za, or at any of the Wine Concepts branches. Telephone Newlands at (021) 671 9030 or Kloof Street at (021) 426-4401 or at the door on the evening, subject to availability.Email: admin@wineconcepts.co.za. 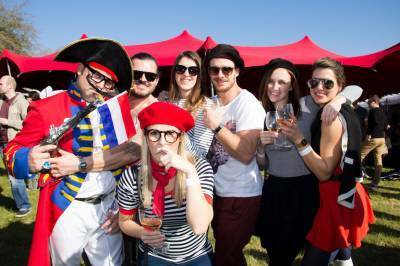 Gauteng winelovers have a new festival to contemplate and it has the makings of an annual must-do. The Cradle Boutique hotel and leading wine outlet Wine Menu have joined forces to host an event, which marks August as women’s month by featuring the products of 10 estates where women star as both winemakers and creators of fine boutique gins. The premium wines on show include those by Catherine Marshal (Elgin); Swartland’s Huis van Chevallerie (winemaker Christa von La Chevallerie) and Kloovenburg (winemaker Jolandie Fouché); Stellenbosch’s Haskell (winemaker Rianie Strydom); Franschhoek’s La Bri (winemaker Irene Waller); Greyton’s Lismore (owner and winemaker Samantha O'Keefe) and Waterkloof wine estate in Somerset West (Nadia Barnard). Taking place on Saturday August 19 at the Cradle hotel from 11am to 4pm, families are welcome, although only those over 18 will be sampling the wine and gins. The Cradle Explorers Club will have a guide on hand to take children for a two-hour nature walk at R80 per child, which includes a picnic. The hotel is at Kromdraai road, Cradle of Humankind. Adults can opt to buy a picnic hamper after the tastings, or book for lunch at the hotel. Festival entrance costs R75, under 18’s go in free. Heart and tummy-warming soul food is on the winter menu at this hospitable estate, from classic farm-style soups with farm bread, to the Hartenberg hamburger with chunky fries. There's a Vintners Platter to share, Banting options, vegetarian choices, and, of course the estate fine wines to complement your meal. Open for lunch from Mon - Sat from noon, booking advisable. Call 021 865 2541 or e-mail info@hartenbergestate.com. involves a a menu of hearty, traditional and classic dishes. Modern mezze, antipasti and fritto misto make starters, or opt for Chef Rudi Liebenberg’s famous South African Cheese Fondue. 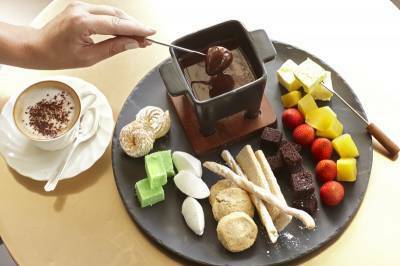 There's a Valrhona chocolate fondue as well, silky indulgence at R365 for two. For mains, there's Laingsburg lamb neck, linefish, grilled chicken breast and tortellini or mushroom risotto. The Winter Feast Special costs R325 per person. In addition, classic Beef Wellington - albeit with a twist - is back, presenting another sustaining option. It’s not only the Orange River winemakers that are notching up praise – and medals – for their wines, but there are now a couple of fine craft beers flowing out of Upington, that can take on any of the others being produced in various South African provinces. Early this year Kalahari Craft Beer was launched in Upington, one of the first from that arid region. Playing on the desert theme, founder Renier Baard chose to name his creations after animals that cope particularly well with the hot dry climate: so there is a Gemsbok Lager and a Puffadder Weiss, both 440ml bottles retailing for around R23,50. They share alcohol levels of 5% and taste great to me, but then I am no expert on beer. So I got keen beer drinkers to try them, and the result was what I expected – these are fine examples of the burgeoning craft beer industry, and you definitely don’t need to be in the Kalahari to enjoy them. To order or to find your nearest stockist, log on to www.kalaharicraft.co.za or contact Renier on 072 827 0009. I predict we are going to see a great deal more of these attractive bottles across the country this summer. Here’s to the Kalahari, both the dry land and its excellent wet beer! Can it really be nine years ago that the Burger family celebrated the 100th anniversary of the planting of their 1908 muscadel vineyard, the oldest of its kind in the country? I do remember it was a party of note, one of those Robertson valley occasions that linger in the memory. Fast forward six years and the family marked 150 years of Rietvallei being owned by the same family: Six generations of the Burger family have contributed significantly to the fine heritage that Robertson enjoys in the field of viticulture that moved, in the early days, from fortified reds to quality white, red, rosé and bubblies over the decades. .just undergone a change of label – the new ones reflect the trendy retro-type of graphic art so in vogue today. The wines are noted for delivering quality at a pleasing price, with still wines selling for R46 and the pair of bubblies for R73. Its red 2016 counterpart, with an equally moderate 12,8 alcohol level, presents an attractive, moreish blend of 56% cab with 44% Tinta Barocca. Presenting easy-drinking pleasure around the braai or the fireplace, this screwcapped red is medium- bodied, fruity and smooth with spice from the Tinta Barocca adding interest. A great everyday red for pairing with informal meals, both indoors and out. The John B rosé 2017 is a semi-sweet charmer, that will appeal to many who savour floral aromas and berry flavours in a crisp pale salmon wine. 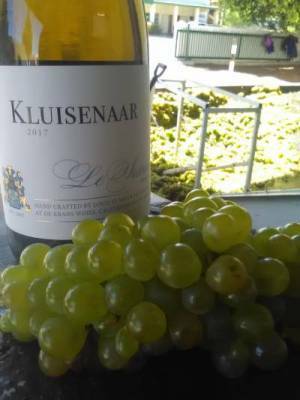 Produced from cinsaut, with low 12,23% alcohol levels, easy to understand its popularity, while I would like Rietvallei to come up with a gourmet cinsaut, dry and succulent, which could be a spring sensation. The duo of sparkling wines are priced at R73 each, the Chardonnay Brut 2016 offering a light, lively, dry bubbly, with characteristic apply flavours: Carbonated class that makes a perfect brunch aperitif, solo or combined with fresh peach juice. Its pink companion, selling at the same price, is a fruity semi-sweet rosé 2016, berry-rich with a touch of Muscat to finish, that will fit the bill for many an occasion throughout the seasons. More to come, as I look forward to trying the new estate vintages when released next month. School holidays mean lots of extra traffic on the N2 as families head down to the Garden Route or move inland to Karoo destinations. It’s also whale-watching time in the Southern Cape when locals argue about which bay is the best from which to watch the great mammals and their offspring cavort in the Indian Ocean . Baleia means whale in Portuguese which ties in with the vineyard’s location in St Sebastian bay which is known as South Africa’s whale nursery. Travelling winelovers should note that there is a fairly unique tasting room, deli and restaurant on the N2 about 1`km from Riversdale as you head to Mossel Bay. There you will find the Baleia Wines cellar and La Bella restaurant and deli, and can taste the small but interesting range of wines and take home their olive oil as well. The 2013 vintage of their flagship Erhard pinot noir notched up awards, and the 2014 has now been released, a medium-bodied garnet-hued wine with moderate alcohol levels and rich tannins which promise longevity. There’s a herbiness along with the characteristic earthiness of the cultivar, and this could be a pinot to squirrel away for a few years and then open to increased enjoyment. It costs R180. THE GREAT SOUTH AFRICAN COOKBOOK, published by Quivertree Publications, Cape Town, 2016. Less than a fortnight to Mandela Day 2017, when South Africans, both individuals and teams from institutions, companies and a myriad organisations, will give up 67 minutes, or a day, a week or more to do good in their communities and help alleviate poverty in some way. Now, as July approaches, it’s a good time to remind potential purchasers about this generous gesture – anyone looking for a comprehensive cookbook that presents a treasury of recipes for fare found in the kitchens of our diverse communities could hardly do better than snap up this culinary compendium. Add to that the feel- good, do -good aspect of your purchase, and you may want to buy an extra copy for someone special in your life. First, a little about the book production: As one expects from Quivertree, this is a great book to hold and admire, from its innovative and trendy cover to Toby Murphy’s delightful photographs on the endpapers. Plenty more wonderful images of food and cooks throughout the book, taken in food gardens, fishing boats,on farms, in kitchens, restaurants and homes. And, almost without exception, every personality looks as cheerful as can be, which is pretty inspiring! There’s a glossary of terms used, a detailed index which precedes a second one, arranged by categories like baking , dressings, gluten- free and main courses, and a list of contributors. Several sponsors are also thanked. The contributors of recipes are, to quote the cover “...our finest cooks, chefs, bakers, farmers, foragers and local food heroes.” They also represent an intriguing mix of entrepreneurs from every corner of the land, each with their own story and culinary specialities. Many hail from the Western Cape and Gauteng is also prominently in the picture, but after that the locations thin out to a few from KwaZulu-Natal, just two from the Free State and a few from the Eastern Cape. A lone cook from the Northern Cape shares this status with one from Limpopo province, while the North-West and Mpumalanga are not ignored. Down south the Garden Route features, but the Overberg is practically bypassed , which, given the gastronomic talent in the Elgin and Stanford areas, is surprising. The recipes cover the basic fare and classics of the major South African cultural groups, and there is a strong emphasis on greens and fresh produce, raw ingredients, and foraging, which is both trendy and health-giving. An unexpected shortage of soups – just three – when you consider how many of us regard sustaining vegetable and meat soups, thickened with pulses, as essential survival fare. At the other end of the menu, just one ice-cream makes the grade: admittedly a delicious recipe from brilliant chef Franck Dangereux, but again, South Africans regard ice-cream , preferably homemade, as a given during the hot months, whether inland or along our coasts. Turning to main courses, it seems a pity that no ostrich dish is included, a meat so important to the Little Karoo farmers and townsfolk. The inspiring local and seasonal fare from the plains of Camdeboo in the Great Karoo should have a place in this book – but then, perhaps they were approached, one doesn’t know. Or maybe it was simply a case of space running out - the line had to be drawn somewhere! But with 360 pages of appetising, colourful, diverse gastronomical temptations, there is more than enough to digest and try out to keep keen cooks and bakers busy for years. This is by far the most comprehensive South African culinary title ever published, and for this reason alone, is a cookbook everybody who has an interest in food, should possess. The first round of the 2017 Wolftrap Steakhouse Championships is complete and these finalists represent those who garnered most votes from the public. The judges now take over for the final round. Winemag.co.za released the results of the high scorers among the 60 entries that were received from 45 producers for the 2017 competition. The following 25 rated 90 or more on the 100-point scale. Just one, Thelema Rabelais 2013 achieved 94. Three collected 93 – Morgenster 2011, MR de Compostella 2014 and Tokara Director’s Reserve Red 2013. Those scored 92 were Holden manx Big G 2013, Rustenberg John X Merriman 2015, and Simonsig Tiara 2011. Groot Constantia Gouverneurs Reserve 2014, LaibachThe Ladybird 2015, Longridge Ekliptika 2014, Morgenster 2012,Mulderbosch Faithful Hound 2014, Muratie Ansela van de Caab 2013, Rustenberg John X Merriman 2014, Spier Creative Block 5 2014, Zorgvliet Richelle 2015. The following blends were scored 90 points:Allée Bleue L'AmourToujours 2013, Creation Cabernet Sauvignon Merlot Petit Verdot 2015,KnorhoekPantère 2014, La Vierge Nymphomane 2015, Villiera Monro Red 2013, VriesenhofKallista 2011, and Vondeling Philosophie 2015. There were 23 entries in this year‘s Muskadel SA Awards contest, and the Orange River Cellars emerged triumphant overall for the third consecutive year. Orange River Cellars White Muskadel 2016 and Red Muscadel 2016 both received platinum awards, adding more medals to their stock of five platinum and two gold since 2013. Also awarded platinum were Du Toitskloof Cellar Red Muscadel 2014 and Alvi’s Drift Premium 2014. Nuy winery took home gold for their Rooi muskadel 2012 as did Rooiberg for their Red Muscadel 2014. Two cellars situated on the R60 between Worcester and Robertson was awarded gold; Nuy Winery for their Nuy Rooi Muskadel 2012 and Rooiberg Cellarfor their Rooiberg Red Muscadel 2014. Another winner from the Northern Cape is Landzicht GWK Wines who took home gold for their Landzicht Rooi Muskadel 2016 and Boplaas from Calitzdorp scored with gold for their Boplaas Heritage Collection 2014. MASTERCHEF STREET FOOD OF THE WORLD by Genevieve Taylor. Published by Absolute Press of Bloomsbury Publishing, London, 2017. This is a hefty hardback, its front cover presenting a mélange of dishes filled with fare both exotic and everyday: skewers of fiery offal share space with strawberry-topped waffles and cream,a fried egg tops a plate of Danish leftovers alongside all-American picnic sarmies. The very title intrigues, and food writer Taylor has added prestige to what is pleb cuisine by getting MasterChef champions from France, Denmark, Australia, USA, the Far East and the UK to add their touch to the recipes. As the back cover states, millions around the globe relish street food every day, so a compendium of these recipes from all corners of the planet amounts to a treasury for adventurous home cooks to explore. With the current vogue of food trucks in towns and cities dishing out portable street eats, along with night markets and food festivals proliferating across the globe, this sociable cuisine is trending, and it seems unlikely that such a relaxed informal way of eating will go out of fashion soon, if ever. Street food is hardly new, and can be traced back to ancient Rome and medieval London, among other cities. Today’s street and market cuisines are usually characterised by a kaleidoscope of colour, flavour, aromas and taste sensations. As the author suggests, this collection of recipes enables every cook to bring a sense of wanderlust to their home kitchens. Chapters focus on continents, opening with The Americas, followed by Europe, the Middle East and Africa. The Indian subcontinent precedes a section on Asia and Australia. While western classics like beef burgers, fish and chips are included in the line-up, it’s the exotic items from the Middle and Far East and north Africa that first attracted me, along with those from the Caribbean and Central and South America. Tasty bites from Louisiana sandwich shops start the American ball rolling, then it’s off to the islands, with Jamaican Jerk chicken and Trini Doubles from Trinidad (chickpea curry sandwiched between naan bread). Mexico offers up chicken and sweetcorn quesadillas with guacamole, tamales with pulled pork and chilli sauce and a tempting sorbet of tequila, mango and lime to make in summer. Heading south, there’s ceviche from Peru, arepas with queso blanco and guasacaca from Venezuela, which translates into little cornmeal cakes stuffed full of homemade cheese and accompanied by robustly flavoured avocado- based sauce . Argentinian short ribs with chimichurri sauce already appears on local braai menues, its followed here by dulce de leche icecream. British favourites include Cornish pasties and a variation on Scotch eggs, while France whips up niçoise wraps and crepes banoffee. Flamkuchen and kartoffelpuffer from Germany are followed by an appetising-looking leftover Danish classic, called Biksemad. There are also street specials from Finland, Poland, Bosnia and the Czech republic before the masterchefs look south to Greece, settling on souvlaki pitas with tzatsiki and tiropita. Arancini with Gorgonzola, polpette, verduri fritti and gnocco fritto make the Italian selection while the sweet offering from Spain is churros and chocolate sauce. Delectable bites from Turkey include gozleme with spinach,feta and pinenuts, balik ekmek, midye dolma and simit, all of which translates into stuffed flatbreads, a mackerel sandwich, stuffed mussels and something similar to a bagel, topped with sesame seeds. Equally tempting snacks from Israel, Egypt, Tunisia and Morocco follow, making this a chapter I would turn to often. The chefs then head south down the African continent, stopping in Ghana ,Nigeria and Ethopia. We have long savoured a street foods in South Africa,emanating from a variety of cultural traditions: Our country’s diversity is represented with recipes for the Gatsby, bunny chow, masala pineapples and melktert. Mauritius also makes the cut with a dhall puri with butterbean curry. Further east now, to sample Chinese tea eggs and char siu bao, on to Korea for mixed vegetable kimbap with gochugaru dipping sauce, then daintier fare from Japan such as Yakitori chicken skewers and daigaku imo. Nepal, Thailand, Cambodia and Vietnam present a fragrant and vibrant mix of flavours while Malaysia, Singapore and Indonesia serve up street fare that is familiar to most of us like satés and sambals, prawn curry laksa, and sate ayam with peanut sauce. What can we expect from Australia? I would not have guessed correctly, but its a trio that starts with fried prawns with citrus salt and sriracha mayo, chiko rolls and steak and onion pie – perhaps they taste wonderful, but this was the only menu that disappointed on reading it. I expected something more exciting from Down Under and that included at least a couple of their indigenous ingredients or Aussie creations that combine native with input from oriental, Greek and Italian immigrants. Many local cooks will embrace this treasury, in search of vibrant new flavours or to recall those enjoyed in street markets in far-off lands. To mimic a former radio ad for a popular local white wine, these dishes are made for family and friends, eating, drinking, laughing and sharing occasions. I could not think of a better birthday or Christmas present for friends who like roaming the gastronomic world in their home kitchens. For one, I am thrilled to possess this gem. A first for this huge and populous centre! Don't miss out on the inaugural Taste of Tygervalley Wine Fest taking place on Friday June 30 and Saturday July 1. T.he venue is the Arena, where 21 cellars will be pouring their products, from potstilled brand and fortified wines to serious reds and full-bodied whites. Something for every palate and pocket, and most suited to the midwinter weather that we are welcoming with many a toast! Cliff, Edgebaston, Groenland, Hermanuspietersfontein, Imbuku, Kingna Distillery, Montpellier de Tulbagh, Montagu Wine and Spirits, Mooiplaas, Ormonde, Perdeberg, Peter Bayley, Spookfontein, Triple Three Distillery, Yonder Hill and Zorgvliet. The Cabernet Franc Interest Group will man a special tasting stand for this trendy varietal. Wine of the Month Club and Good Taste will be present, and chocolate pairings and tastings are also on the menu. Tickets cost R100 which includes glass, tastings, and a contribution toward a bursary for a local youngter to study toward becojing a sommelier. The festival times are from 17h00 - 21h00 on Friday and 14h00 - 19h00 on the Saturday. Tickets from www.computicket.com or at the door. Numbers of guests will be limited to avoid overcrowding. French flair to the fore, with berets, a red white and blue outfit, and an appetite for fine wine and gourmet bites? Then you are all ready for this years Bastille bash taking place on July 15 and 16. As usual, it offers a mullti-sensory experience, and there is an optional package being offered this year dubbed Joie de Vivre: it comprises a number of mountain biking activies over three days, including Contre la Montre, a race against the clock in the Franschhoek mountains along with accommodation, exclusive functions and meals. As before, the food & wine marquee will be sited at the Huguenot monument, where wines can be tasted and gourmet fare purchased. Tickets cost R280 a head, and include glass and five wine-tasting coupons. Book through www.webtickets. Visit www.franschhoekbastille.co.za for more info. The beautiful historic estate of Muratie will host a celebration of Cape Port-style wines on Saturday July 29. The Melck family will welcome yhou to fireside sipping, then dining on rich flavours of warming winter fare from the Muratie Farm Kitchen. Wines on show will also be on sale at cellar door prices. Von Geusau will titillate tastebuds with their handmade chocolates. The event runs from 10h30 to 16h00. Tickets cost R100 and include a glass. Advance booking is recommended. Email taste@muratie.co.za or call 021 865 2330.